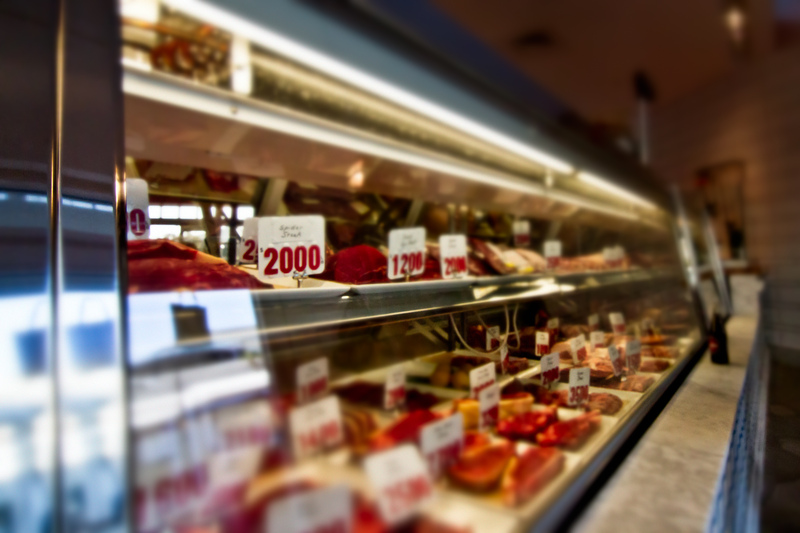 Belcampo Meat Co.’s butcher shop and meat counter at The Marin Country Mart expresses the future of sustainable beef, pork and poultry production in California by combining the traditional butcher shop with a café in a dynamic dance of two programs in a single unique environment. 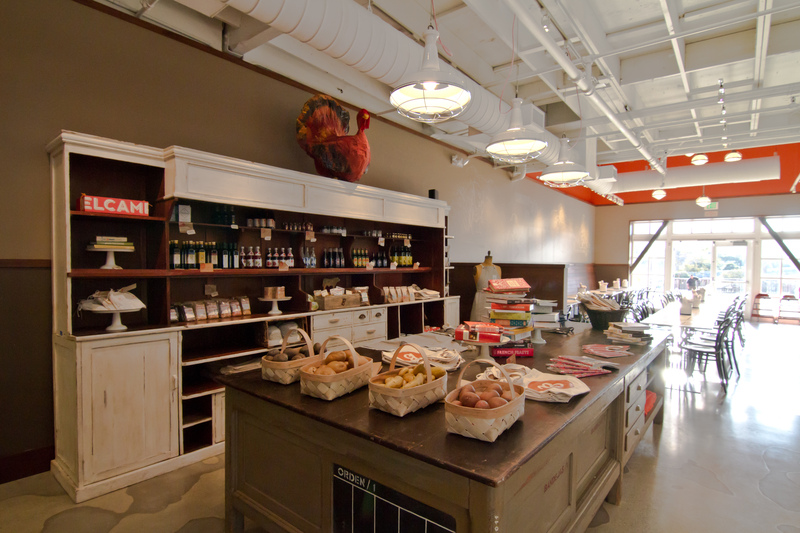 The traditional butcher shop here is reinvented with a combination of over-scale ceramic tiles. The concrete tiled butcher counter morphs into the restaurant cook line and counter bar, while the environment changes to that of walnut and earth tones. 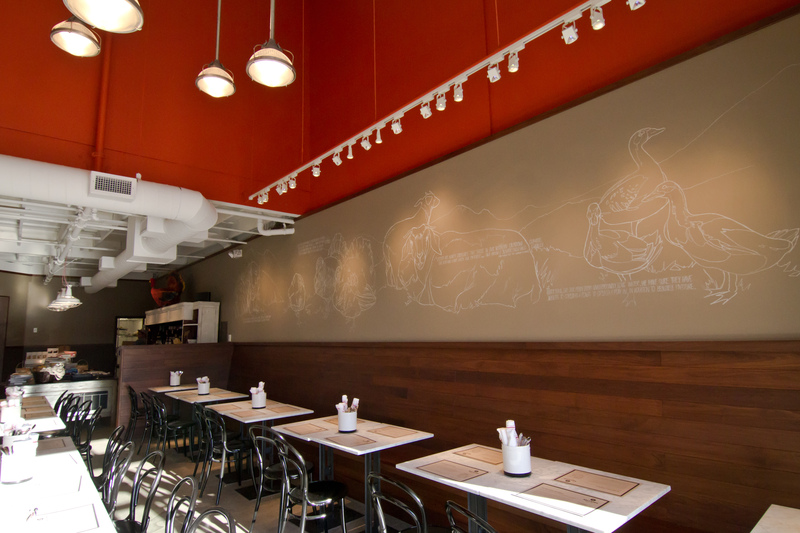 Chalk drawings adorning the walls speak to Belcampo’s commitment to artisan production. The design of the dining room and butcher shop both play off the dynamic interior spaces found at the Marin Country Mart- accentuated in Belcampo orange. Between the butcher shop and the restaurant is a space furnished with antique store fixtures from Uruguay, home to Belcampo’s ranches in the Southern Hemisphere. In this space are found unique artisanal food products and local foods, allowing the butcher shop customer the opportunity to purchase all the fixings for a great meal. The deli counter in the butcher shop will sell many items prepared in the restaurant kitchen. Belcampo raises and processes its own animals and produce on a farm in Gazelle, California, with views of majestic Mt. Shasta. This is a complete celebration of the farm to table movement. 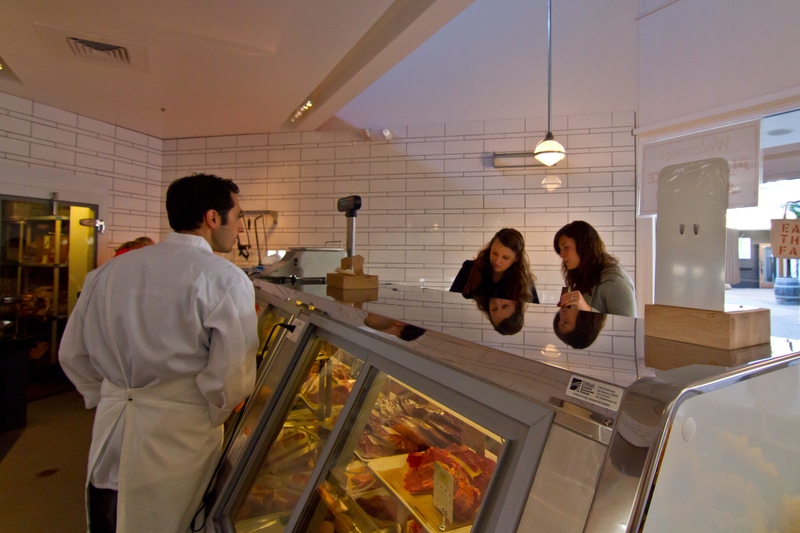 At Belcampo’s butcher shop and restaurant, BCV Architects have worked to give this concept a physical manifestation. BCV is known for its food world architecture, which includes the design of the Ferry Building Marketplace in San Francisco, Oxbow Market Hall in Napa, and numerous restaurants and wineries around the globe. BCV was the architect for Belcampo’s production kitchen and offices on their farm in Gazelle. In every project, BCV strives to identify and express the unique and local. 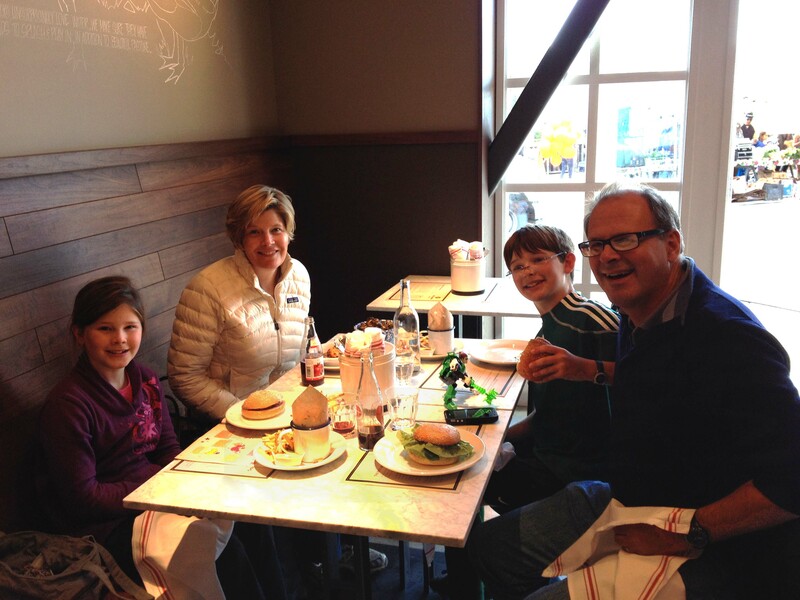 Hans, the principal architect of the project, shown above having lunch with his family at Belcampo’s first open weekend. Photos by Jack Schow and BCV Architects. 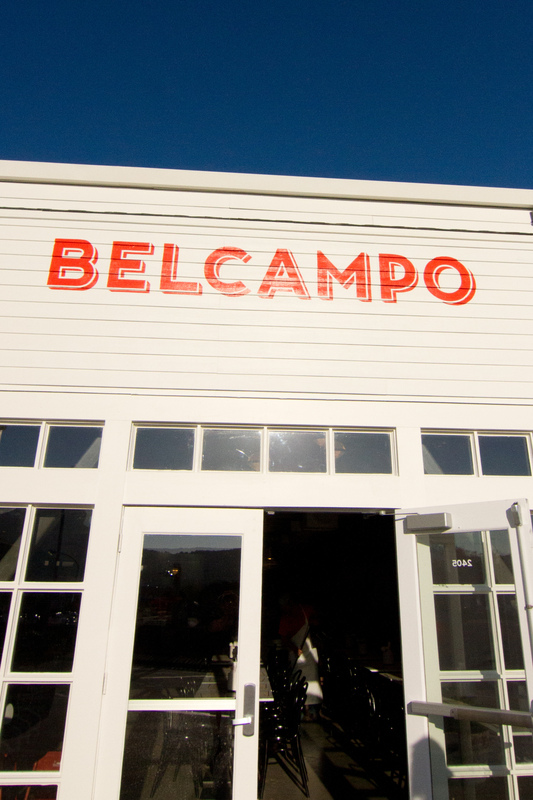 ← Belcampo Meat Co. Now Open!